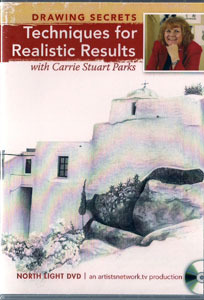 In this workshop, Carrie provides all the best tools and methods needed to sketch and draw your favorite realistic subjects. Learn how to create accurate yet expressive drawings with a basic approach to materials, observation (learning to see), basic line work and hands-on exercises to improve your work. • Achieve accurate proportions • Shading & texture techniques made easy • 64 minutes of premier art instruction.